"Thinking, for a college president, can be a dangerous precedent to set. But think we must, for the power of thought is the most important weapon in our human arsenal if we are to overcome the barbaric march of ignorance in our world." 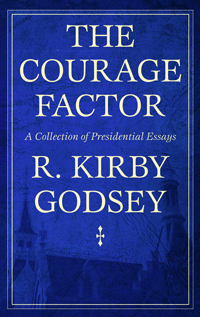 [from the preface] This remarkable collection of essays spans more than twenty-five years as president of Mercer University. As such, they form a corpus of thought by a university president who believes that the university can and does have a role in shaping culture and society, and is a leading factor in the architecture of our future.